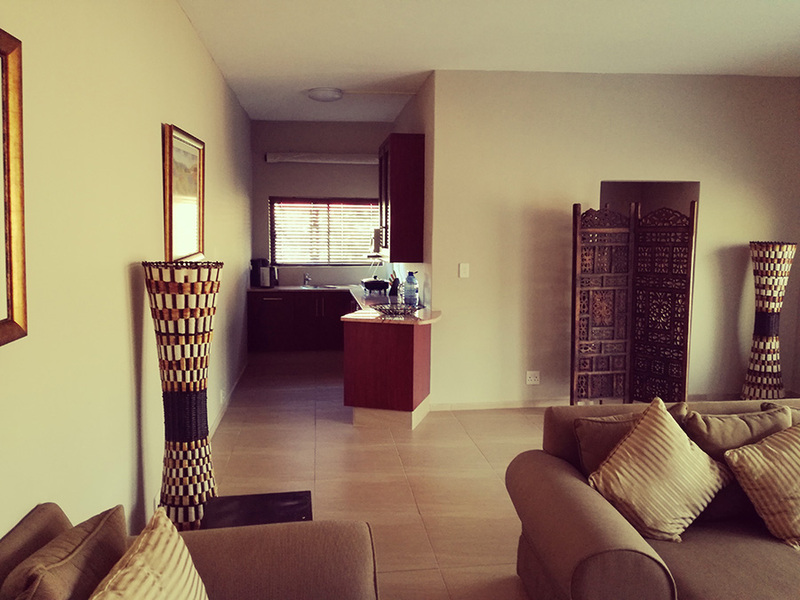 Five Luxury Double Bedrooms, All With En-Suite Bathrooms, Serviced Every Day, Flatscreen DSTV’s in two lounges. Escape to this oasis in the bushveld and combine your passion for golf and nature while staying in this beautiful executive Guest House on KoroCreek Golf Estate just outside Modimolle town, Limpopo, which is an exclusive and beautiful golf development. 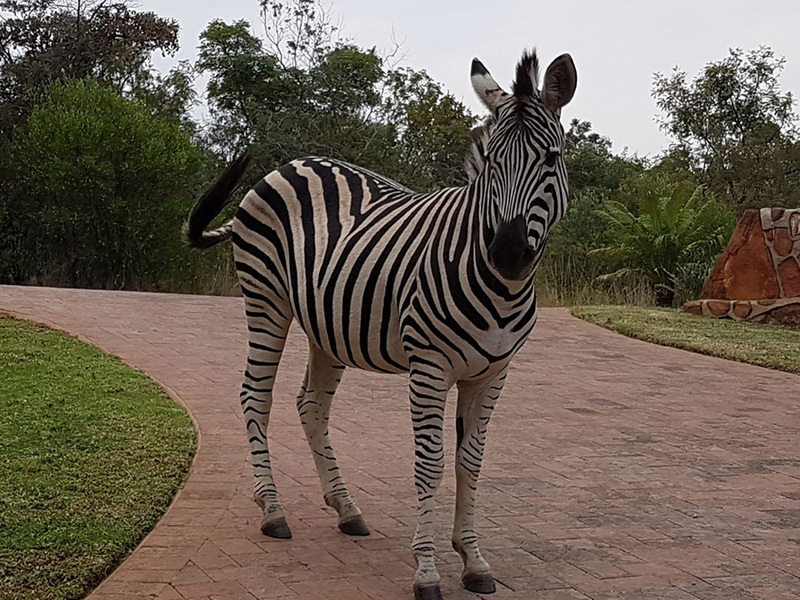 In the open veld bordering this tranquil country hideaway guest house, we have game such as Impala, Zebra and Nyala that roam free on our doorstep. The latter are so tame, they love to feed out of your hand. 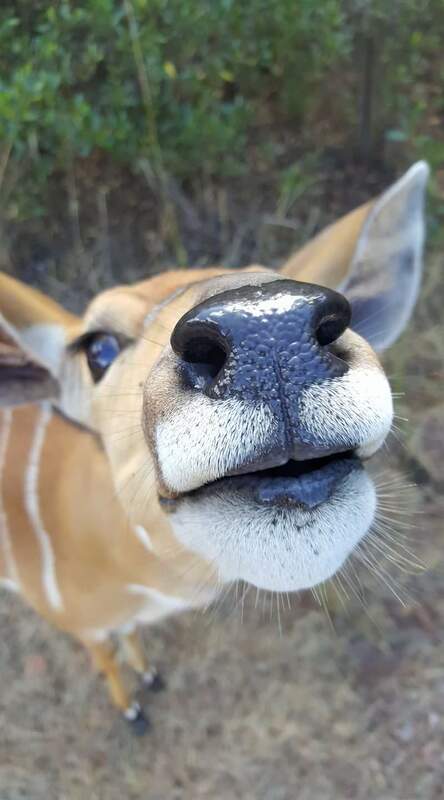 Duiker, Bushbuck, Kudu, and Waterbuck also roam free on the Estate. 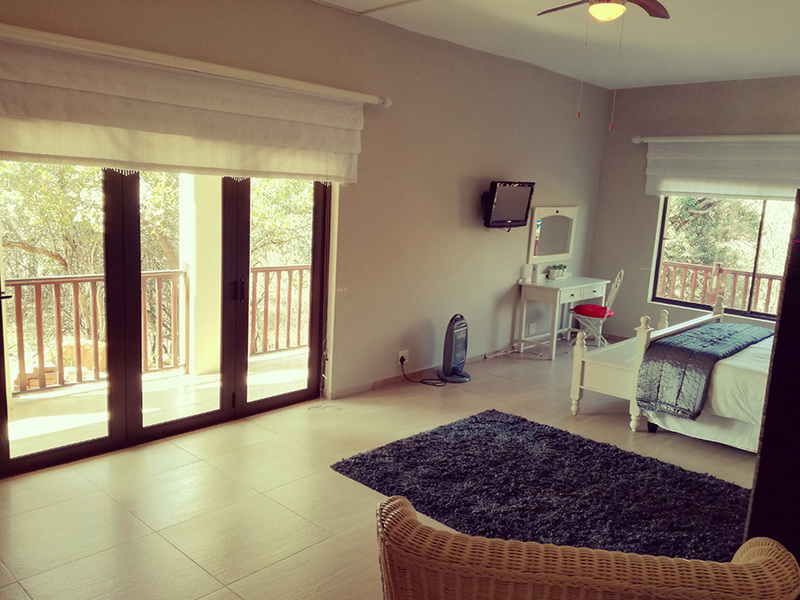 It is a Bird Watcher’s paradise, where guests wanting to escape the madness of city life soon learn to relax. 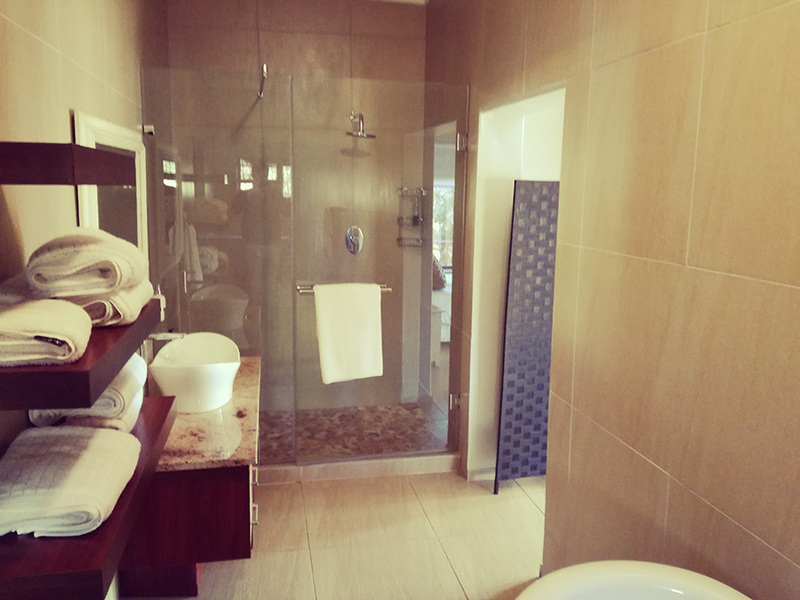 Nestled in the picturesque Waterberg mountain range approx. 70 minutes from Pretoria lies Modimolle (previously named Nylstroom), a bustling bushveld town. 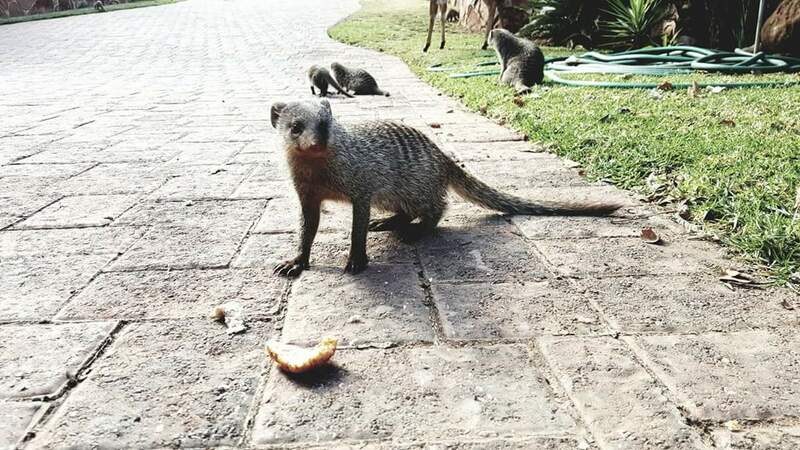 Named after the Sotho for the ‘God(s) have eaten,’ Modimolle and the surrounding Waterberg area boast plentiful free roaming game, birdlife and beautiful indigenous trees and plants. A characteristic feature here is the Kranskop Mountain, a natural beacon rising above the surrounding landscape. 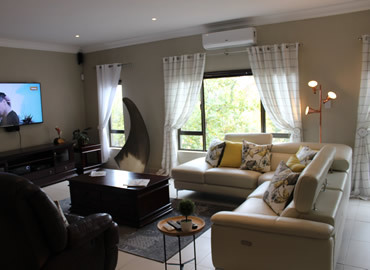 It lies next to the N1 Highway that runs between Pretoria and Polokwane en route to the Kruger National Park. 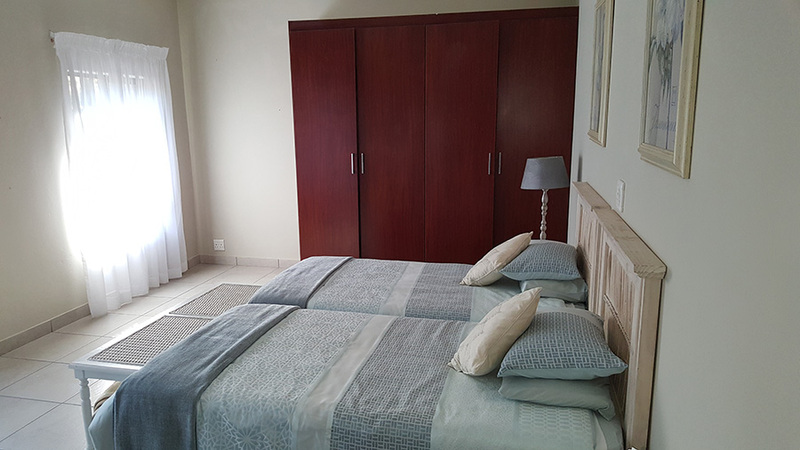 Nature and adventure enthusiasts need not travel far from home to experience a host of outdoor activities, such as cycling, hiking, game viewing and abseiling. 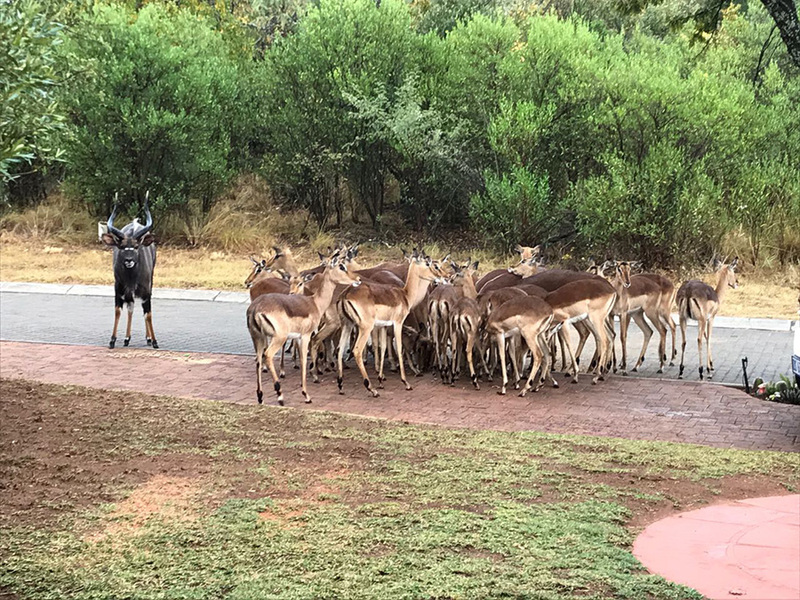 Game drives can also be arranged. 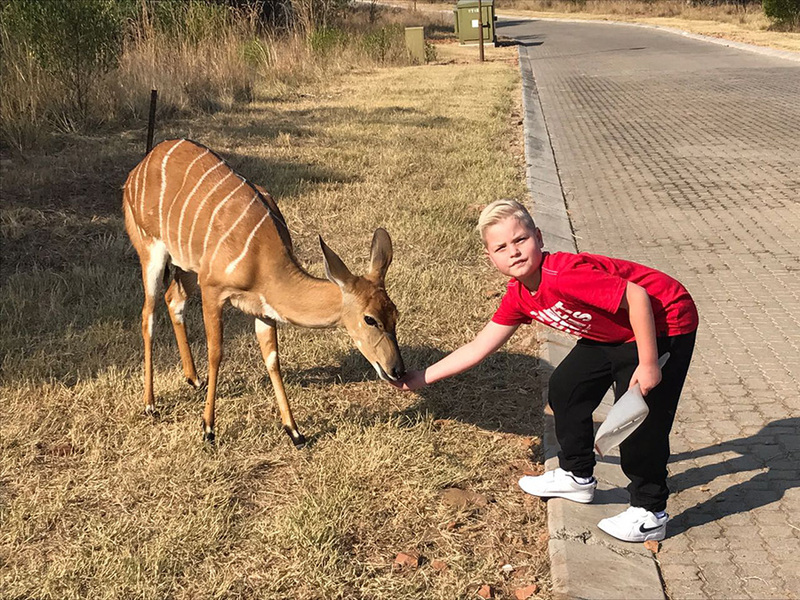 The Waterberg’s numerous activities, coupled with its mild year-round weather and warm dry winters have boosted its popularity among people looking to escape the city for a few days. 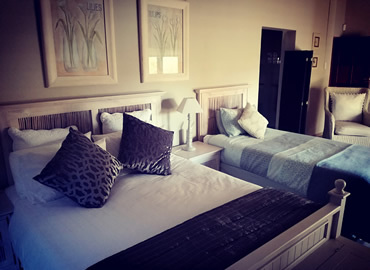 The 18-hole golf course is a 6825m par-72 layout, with four tee boxes on each hole to accommodate every level of visiting golfer who will enjoy a unique feeling of being in the bushveld at the same time. 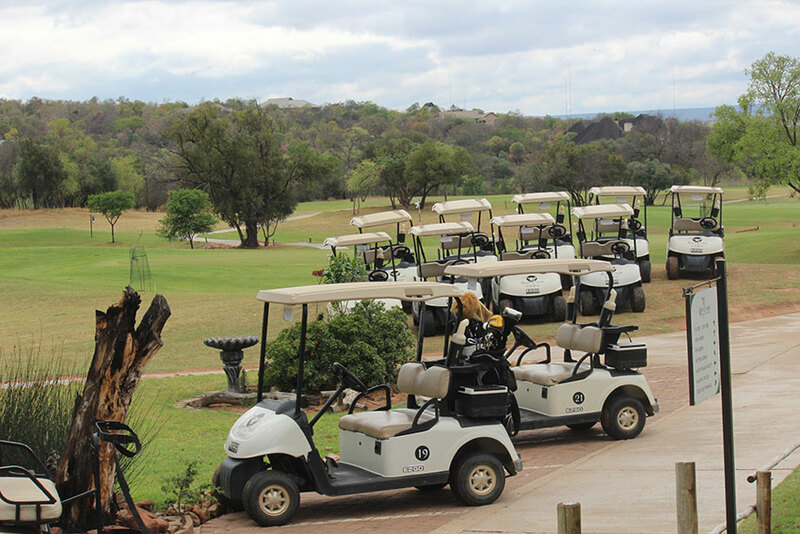 Golfers of all abilities can find a challenge in this course, not to mention enjoyment in that unique feeling of being in the bushveld. 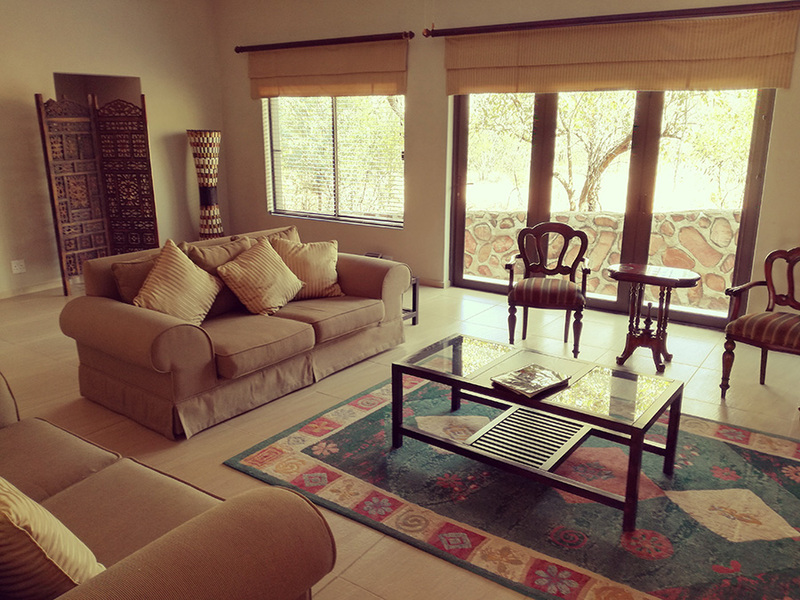 A welcome sight at the end of a day on the golf course is the Koro Creek Clubhouse, where golfers and non-golfers alike can relax, while watching the African sunset over this bushveld estate. 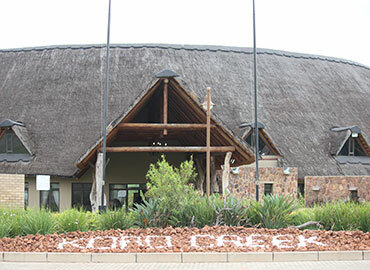 The course is in great shape and hosts various professional tournaments regularly and boasts among the best in Limpopo. The Fairways Restaurant in the Clubhouse is a very popular venue which boasts an 80 seater and offers a large variety of Al La Carte meals and daily specials, whilst a superb Sunday Buffet is very popular. The meals are of a very high standard at affordable prices. 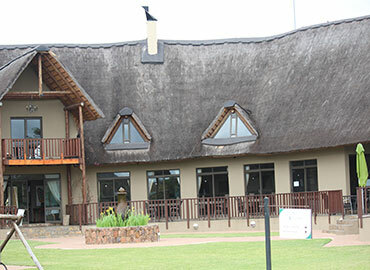 The Clubhouse also has a Conference Centre with a loft overlooking the Estate. It has the capacity to cater for functions between 30 and 150 delegates. All standard equipment is included. This pristine venue has everything needed to make a client’s conference a success. 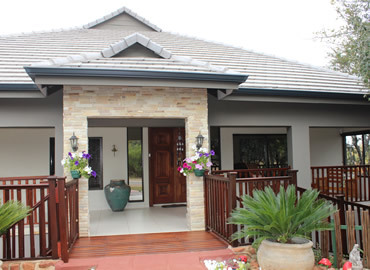 It is a fine location for all other functions, such as weddings etc. 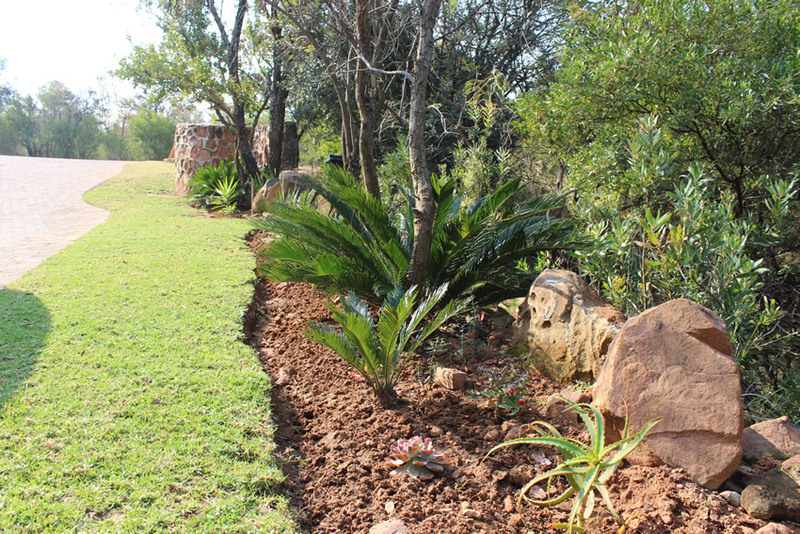 – the special bushveld ambiance adds to the atmosphere. Décor can be added as you wish. The prices are highly competitive to surrounding venues. 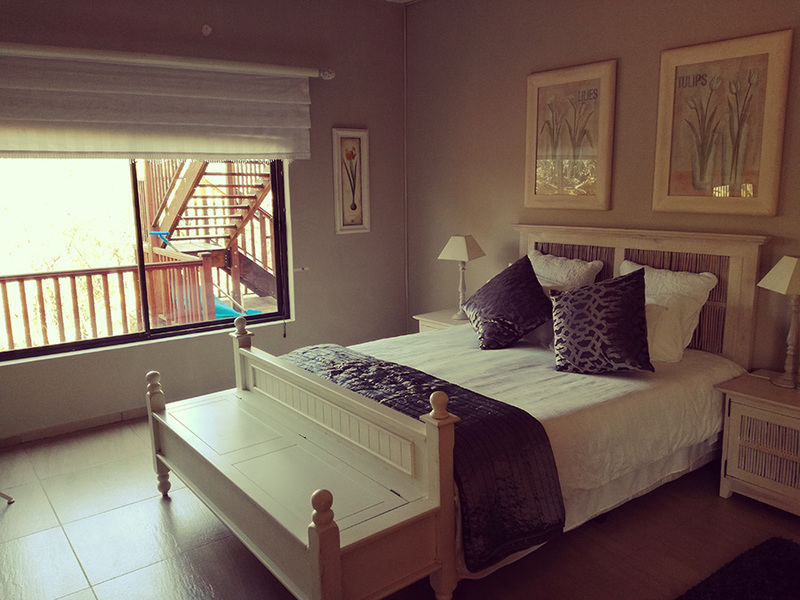 Monday - Sunday for R600.00 per person per night. Please note we do require a 50% deposit to secure a booking.